This just slayed me! 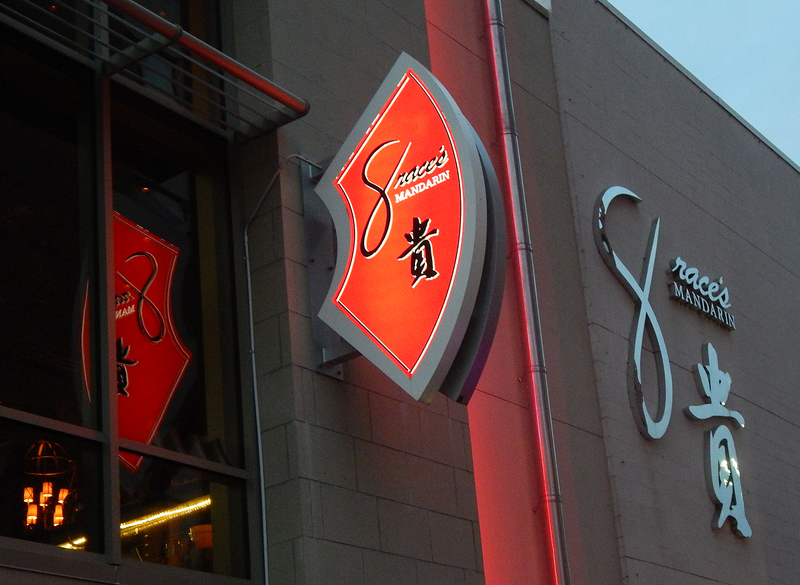 While at a recent conference down in National Harbor, Maryland, we dined at Grace’s Mandarin, an Asian restaurant just across the way from the Gaylord National Resort and Conference Center. 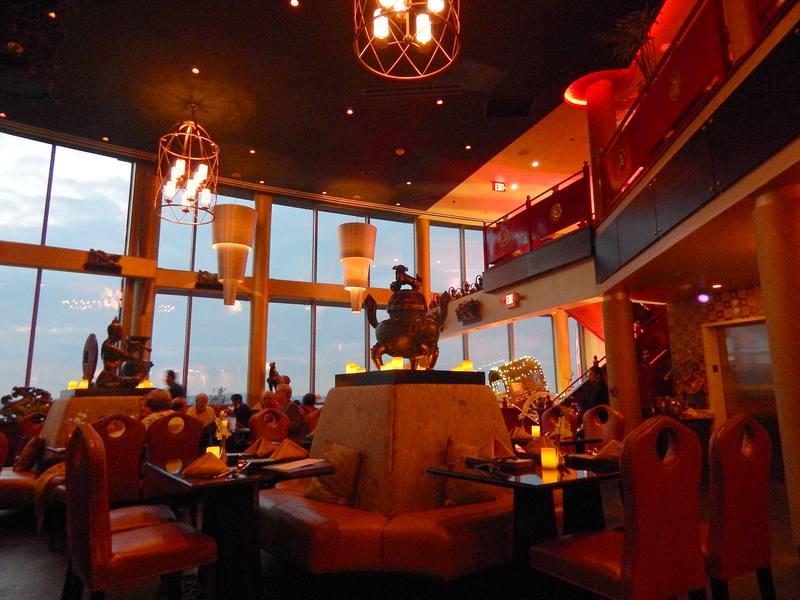 We put this place on our short list when we visited in May and made online reservations before we even headed down. 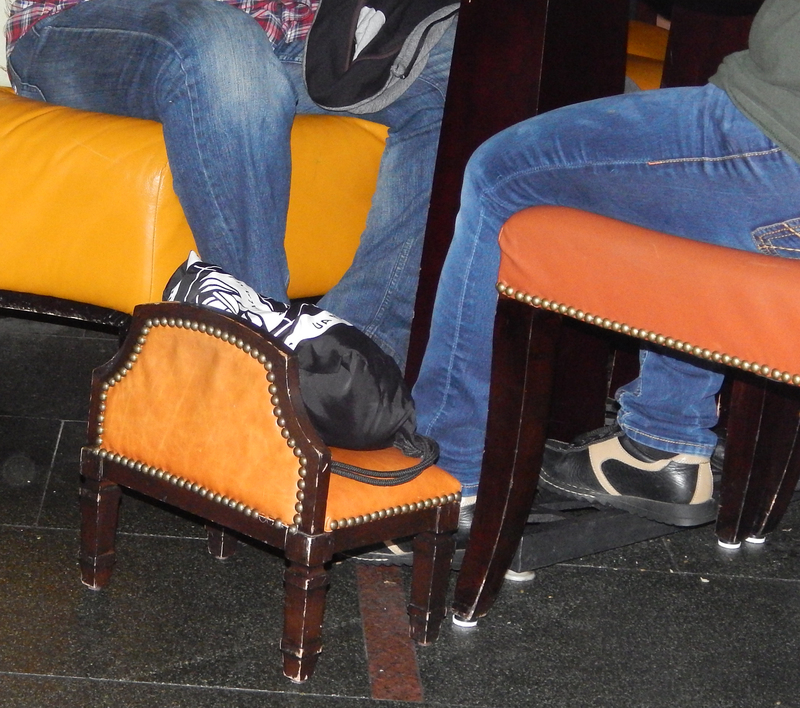 Have you ever seen a “purse chair” before?? Well, I hadn’t and I was so intrigued I had to get not just one, but two pictures of patrons putting them into action. 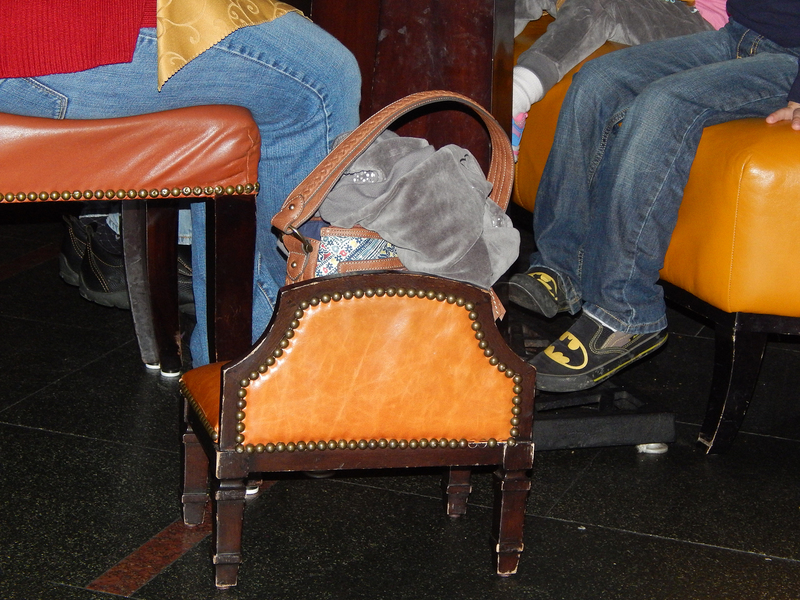 Actually it’s a pretty cool idea if the table your seated at doesn’t have enough space to accompany your pocketbook in a “safe” fashion. Although Russ was mortified that I was even taking these pics! 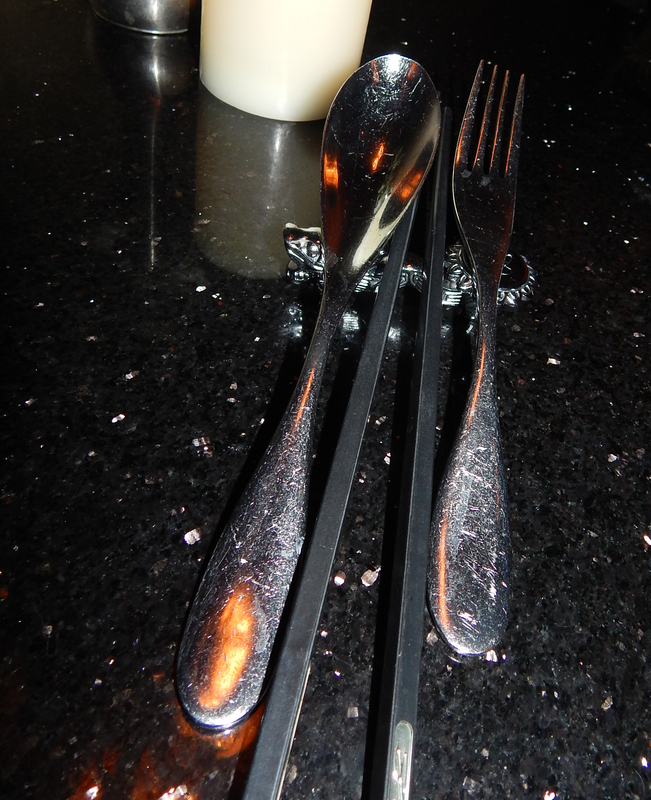 OK, so since I’m blogging about Grace’s, I might as well mention the other restaurant particulars. 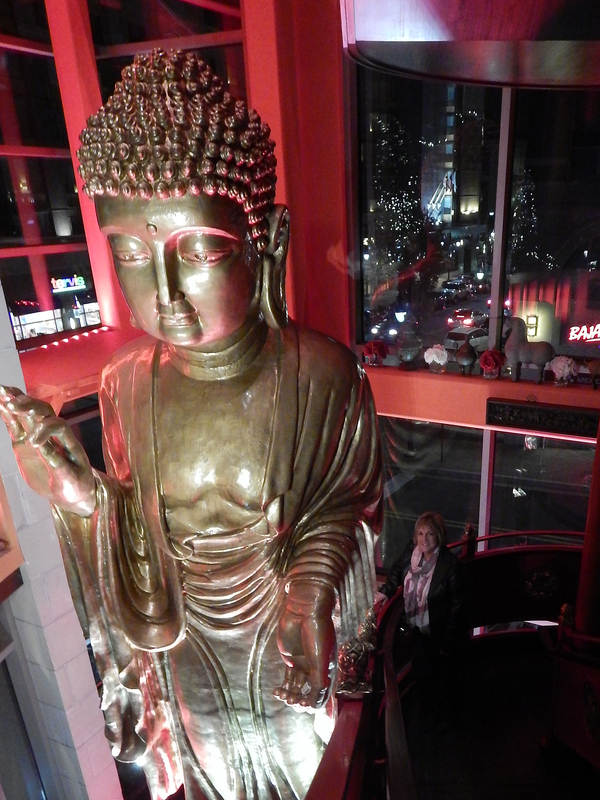 It is quite a large establishment, with a decidedly zen-like atmosphere and a ginormous Buddha flanking a corner by the stairwell. We were seated in prompt fashion in a cozy booth that allowed for easy conversation. Our take on the food? Decent, but not a WOW factor. We’ve had better at restaurants close to home. 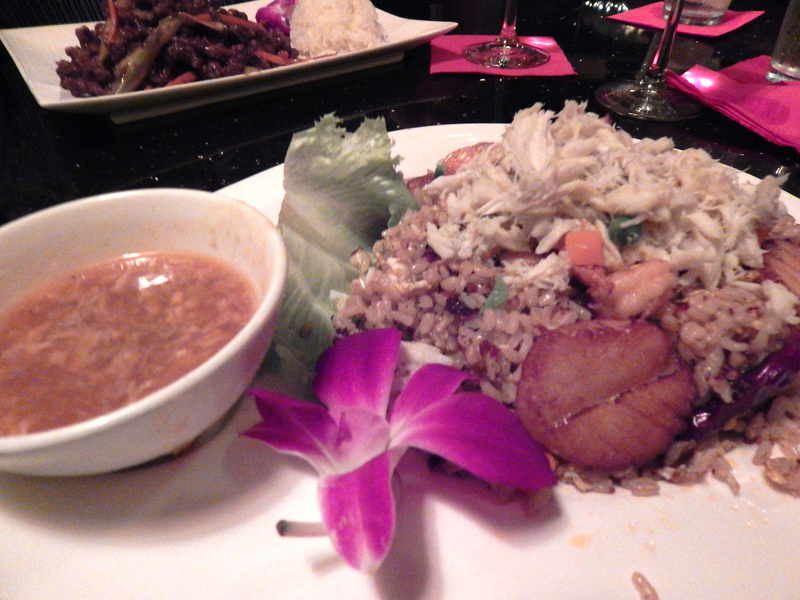 That being said, my choice was the National Harbor Rice which was artfully plated with a beautiful edible flower and had lots of tender shrimp, scallops and crabmeat with peas, carrot, fried brown rice, ginger and egg white. 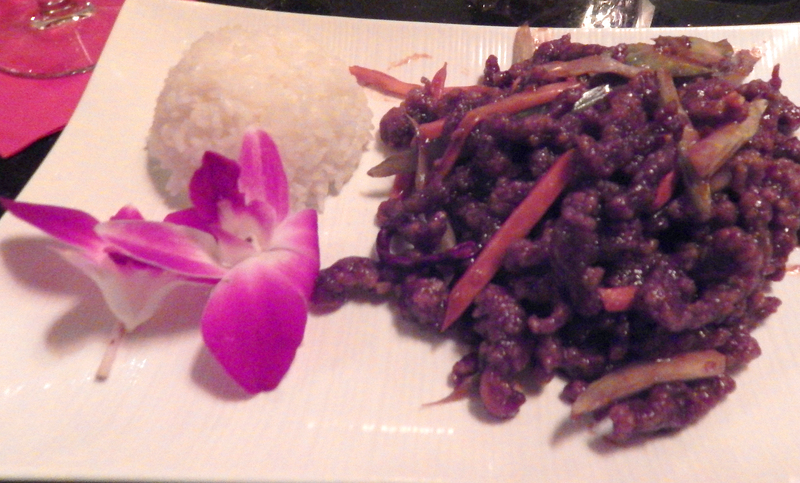 Russ ordered the Crispy Beef which was tasty in its own right, just not earth-shattering. Would we go again? Sure! 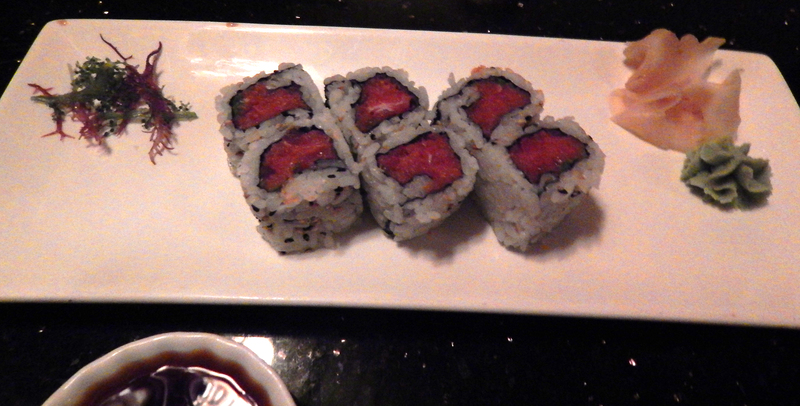 The menu was extensive so there are a lot of other options to try. If you ever get the chance to visit, it’s a great little town just south of Capital Hill and across the Potomac from Alexandria, Virginia.